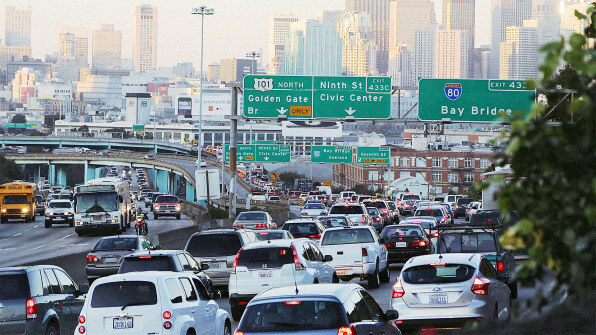 Traffic is terrible in California metro areas. This is just a fact of life. But who cares when you are in the heart of Silicon Valley, where the dreams come true and opportunities fall from the sky. I recall an opportunity that fell from the sky on my lap, that I turned down in 2012. Such opportunities haven't "rained" since, but if there is a chant you know to attract amazing opportunities in promising startups let me know. Probably, every seasoned engineer in the Valley will tell you her story of that one great missed opportunity. Most often however you get to hear stories of the other 9 pursued opportunities that didn't work out. 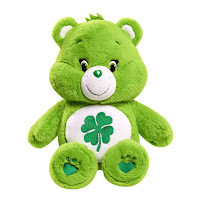 Here is a good luck bear that will attract the promising startups to find your LinkedIn profile. The opportunity will also be only 10 minutes drive from your home and provide onsite hairdressing and drycleaning services, as well as barista who makes your coffee 7am - 7pm and beer keg. Only in Silicon Valley do the billboards across highways advertise better coding practices, or urge you to "Ask your developer" by Twillo. There are so many more that want to make sure you brain is not just resting during your commute. I should not be complaining about my commute, since it is under one hour range, but I HATE my commute. I know I should be thankful, since many people got it much worse than I do, yet the though of standstill traffic for around 45 minutes after the long day at work feels dreadful. Move? you say.. Moving is always an option, but after buying a house and settling in, having arrangements for childcare, home services established, moving sounds very unappealing. But most of us are so sick of looking at those billboards, where traffic piles up and we progress in 0.5MPH speed. 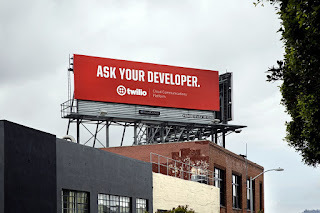 Read this article if you happen to stumble across this page and your are not a programmer https://www.wired.com/2016/05/okay-dont-understand-billboards-silicon-valley/. It really is ok to not get all the billboards, I often don't. I know they are working on me, since when I don't get the billboard I do the research to understand what the company is doing.